fun with osx: "dictation & speech"
I don't know why I find it mildly surprising that a computer voice geared at reading a foreign language speaks English with the same accent as a human who grew up speaking that language, but it's pretty cool. The tricky bit was breaking up the command into an array; without that, the space in "Google Chrome" was messing things up and I couldn't figure out how to make a single big command String that respect that space. One the command runs we wait for it to finish and then go to the old behavior if it seemed to fail, according to the process exit value. So I think I'm finally ready to switch to OSX for my main home machine. I'm finding the switch harder than I expected in some ways: in particular, it's hard enough to get iTunes to recognize ratings and playlists from another machine, and "date added" seems well-nigh impossible. I'm taking a breather from that, though, to get my iPhotos in order, switching from my old organization of "folder of year, lots of subfolders by month (or season)". Actually, iPhoto would do really clever things for grouping photos by "event date", but because of another computer mishap of mine, every photo before late 2003 was reconstructed and now has a timestamp of November 12, 2003. Sometimes it's really nice to be using Unix on the desktop! Compared to a computer, a fighter plane is rather much a “single tasking” device! What on earth (or the sky) makes you think the “second tab” will always have the same information? That the use case for wanting to get to it is so similar every time that the muscle memory effect has meaning? In this case, Safari made the decision that having a bigger space to read the title of what the content actually is, is more important than providing a consistent target. That’s a reasonable tradeoff… in my mind the drawback is that it LOOKS less like a button at that width. There are two competing, but still both true, thoughts: “if you can’t measure it, you can’t master it” vs “not everything that counts can be counted, and not everything that can be counted counts”. You pay so much more attention to the former at the expense of the latter, it distorts your view. With Fitts’ Law, you have a very powerful tool for describing very simple, static interfaces. But with, say, the Mac vs Windows menu bars? Sure, Mac is faster to zip the mouse to, but with Windows, I never have to think about which window on the screen the menubar refers to– unlike the Mac. If I have a large sized screen and am using both firefox and chrome, I have to burn a lot of time scanning to see if the menu screen is one or the other. That cognitive time and effort is a lot more significant than the physical motion, but because it’s tougher to make a good test for it (since most tests implicitly tell you what to do so that A/B tests make more sense) it gets much less attention from you. Anyway, I really think the "stopwatch" brigade has its limitations, especially in today's world of computers offering a lot more variety in experience and usage modes. 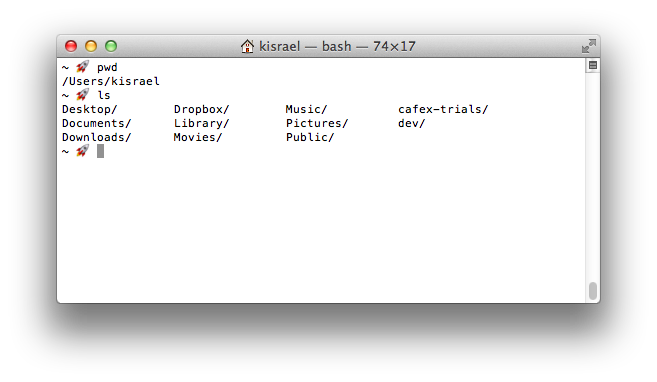 I like OSX's "column" view in Finder, showing a few levels of folder structure at once. Lately I've taken to right clicking and using the colored Labels to use as a bread crumb trail for the files I navigate to most (e.g. the projects I've been working on lately in my company's svn repository) It's so much faster to only have 2 or 3 highlighted folders to glance at than to skim the whole list and try to remember which one I wanted. I had to pad with spaces, the character is wider than a normal alphanumeric. I've been missing Beyond Compare since I've moved to OSX, but DiffMerge is pretty decent. You can pass sort() a function(a,b) that should return -1, 0, or 1 based on whether a comes before or after b. That's pretty clever! I didn't realize you could .append() a child to its own parent to put it at the end.